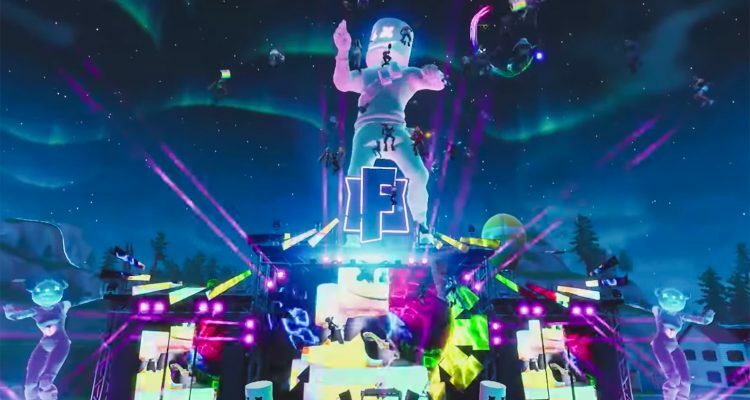 Marshmello made a huge impact this weekend as the first musical act to play a concert inside the wildly-popular video game Fortnite. While the main stage staple provided quality entertainment, the social aspect of the contest is what the masked DJ/producer was aiming for, and he definitely hit it. Not only was the decision made to host a live show for all 200 million registered players of the game, it was also a great marketing move. Though ‘Mello already has a huge following, having raked in over 1 billion views on his music video for “Alone” back in October 2018, his overall YouTube hits grew by 500 percent following the Fortnite performance. He also saw an increase in his subscriber count by about 1,800 percent. Jose Arroyo from LinkedIn noted that the recent Bastille collaborator gained 147,000 new Twitter followers, while his mentions on the platform went up 1,000 percent. He thinks fans may see more of these types of concerts and cross-platform promotions from other musical acts, if not celebrities and athletes due to the obvious upside. Watch the performance that spurred massive social gains for Marshmello and may usher in a new era of shows, here.